Bigtime producer Lorenzo Di Bonaventura is saying that a follow up to Transformers: The Last Knight is being developed right now. In the same breath he also forwards that a Bumblebee sequel is in the works. 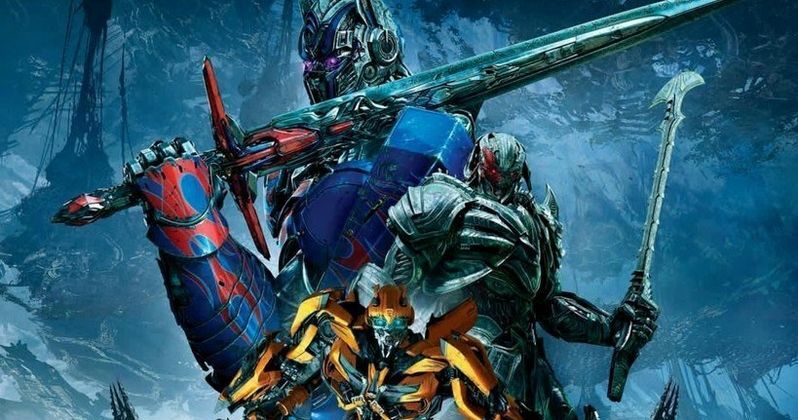 Paramount, the home of Di Bonaventura Pictures, had intended for Transformers: The Last Knight to be the jumping off point for a whole universe of sequels, prequels and storylines for The Transformers to be featured starting with Transformers 6. That idea was canned, or put on the back burner after the Michael Bay made movie bombed with critics and underperformed at the box office for the studio. With The Last Knight not doing as well as expected, there was a ton of pressure on the other major release, Bumblebee to perform well. Bumblebee, a Travis Knight helmed film, did indeed do well. It didn't pull in as much as any of the previous five installments of the Transformers series, but great reviews along with word of mouth sold fans on the film driving up the numbers to turn Paramount a profit. So on that steam, it was reported that Bumblebee would become a reboot for the Transformers tellings, a kind of blueprint for future features, to be carried forth in Bumblebee 2. Speaking to Cinema, Di Bonaventura, the producer of all five of the Transformers movies already, did indeed confirm that a Bumblebee sequel is being made, as we have reported. Interestingly enough, he also said that a film set in "the main family series following the events of Transformers: The Last Knight" is being developed right now. We can't take it to the bank that the film being developed is entirely a continuation of Transformers: The Last Knight. The movie may just contain elements, storylines, characters of the latest Transformers piece, which is something that has already been done in this franchise. Transformers: Age of Extinction focused on a different group of humans than the original Transformers trilogy, so we already have precedent here for going off script a bit. Having said that, there are certainly dangling storylines from The Last Knight that the filmmakers can go off of for the new picture. The biggest arc that can carry over, I think, is the fact that the planet earth contains Unicron. So it would be very easy to harp on that theme while introducing new characters into the Transformers epic saga. In the overall story of the The Transformers, for whatever Hollywood reason, hasn't had the most continuity of a franchise with five movies made already. To put it bluntly, these movies are all over the place. This fact might make fans just want to give up on Paramount making multi-movie Transformer storylines to focus solely on the eagerly awaited Bumblebee prequel. With Michael Bay no longer at the head of these films, it will be interesting to see if Paramount goes back to their original idea of making a "Dark Universe" for the Transformers to inhabit. I am sure a bunch of fans WILL want to see a follow up to The Last Knight with the introduction of the Unicron twist. What the future holds, we can only wait to see. This news comes from the Japanese site Cinema.